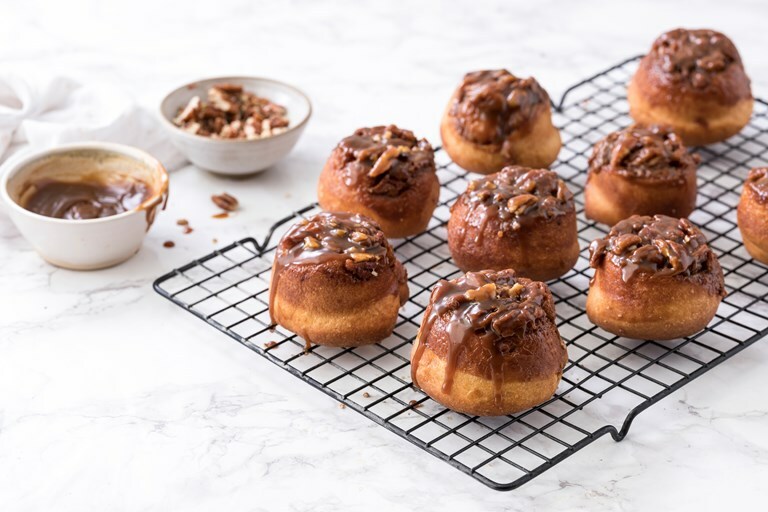 Helen Graves' sticky pecan bun recipe makes a decadent treat, with a cinnamon and pecan crumb created in the Vitamix wrapped in the dough for nutty goodness in every bite. The buns are topped with caramel and more pecans for a gloriously gooey finish. For this recipe you'll need a Vitamix Pro750 fitted with 2.0l low profile container and 2 x 12-hole muffin tins.